American Tire is here to get you on road or trail with a top performing vehicle. For over 65 years, the Westchester and tri-state area have trusted American Tire for all their 4×4 and automotive needs. Our technicians have experience working on all brands including Ford, Chevrolet, GMC, Dodge, Jeep and Toyota. From adjustable suspension systems and custom exhaust to lift kits LED lights, our services go far beyond wheels and tires – contact us today and see how the experts at American Tire can help. American Tire is known across Westchester and the Tri-State area for a wide selection of the finest quality tires for all vehicles! 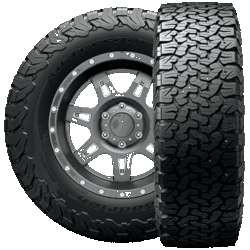 Our in-stock selection of Truck and Jeep tires and wheels ensure quick turn-around, and we get deliveries daily! Want something oversize? 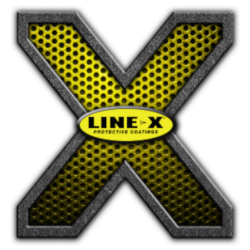 Just ask our staff for advice with years of experience to back it up! 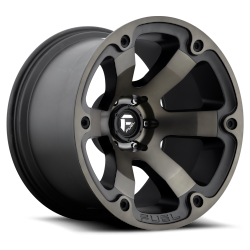 Wheels give your vehicle a custom look with enhanced performance at the same time. American Tire keeps a selection of wheels in stock and we can find you the right wheel for your car or truck in any size or style. Do you want to put a bit more rubber on the road? Larger wheels accomodate bigger tires with ease and set your vehicle apart from the crowds. Some wheel and tire combinations may require suspension modifications for optimum performance – please discuss with our staff so we can help you make the best decision before purchasing! Suspension does a lot more than keep your vehicle from hitting the ground – good suspension allows you to drive with confidence in any conditions, on road or off road. 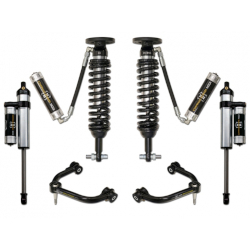 From airbag systems to custom hydraulics, to gas-charged shocks and heavy duty or performance springs – American Tire has you covered! We know you use your vehicle for work and for fun – and that often means doing more with it than what the standard lights can provide. American Tire offers bolt on and custom fitted lights in LED, HID, and Halogen to help you work and play in any conditions! Custom bracket and wiring is our specialty! 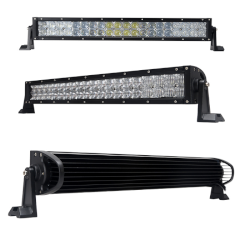 We can make the road or the woods light up from all angles and give you full control at the same time. 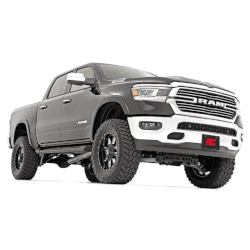 Chances are, you want your Truck to stand out from the crowd and American Tire is pleased to offer Lift Kits and installation for all Trucks and Jeeps! From a subtle inch or two all the way to epic monster truck heights – we can give you the height and stance you need! Every enthusiast wants to be noticed – on road or off – and a nice deep rumble from your exhaust is just one way American Tire can help! 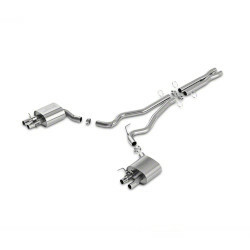 We offer a wide selection of aftermarket exhuasts for almost every vehicle, and can easily help with customization when you need it! 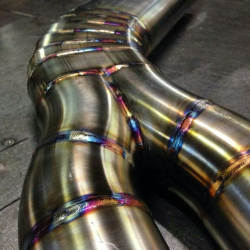 American Tire has the skills and experience to fabricate all the custom pieces your vehicle requires! 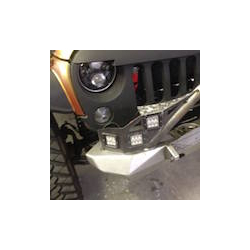 We want to help you stand out from the crowd – and we have the tools and experience to craft a custom bumper, modify an existing assembly, or fit something unique. 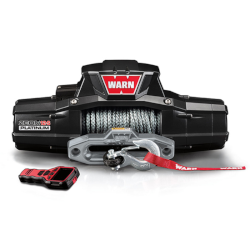 Winches, horns, communications, air horns, pumps, entertainment systems, navigation, and so much more! If you need a tool to make your work or play easier – American Tire can integrate it into your vehicle. We offer cutting edge technology and old school power to get the most out of your time behind the wheel. Have an idea for something? Let us know and we will make it happen! 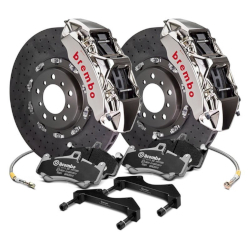 Often overlooked – upgrading your brakes can be one of the best things you do for your vehicle! American Tire has braided stainless steel brake lines, performance brake pads, as well as upgraded / upsized brake rotors and calipers for your vehicle. Add that extra bit of safety into your build with better brakes! 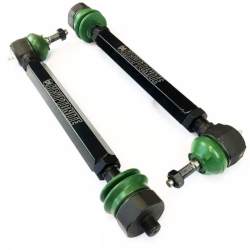 Steering your truck when you have big wheels and tires and a lift kit often means upgrades to your steering components like tie-rods, steering rack, steering damper, and so on. American Tire has the best in heavy duty steering upgrades to ensure consistent and reliable performance from your vehicle!